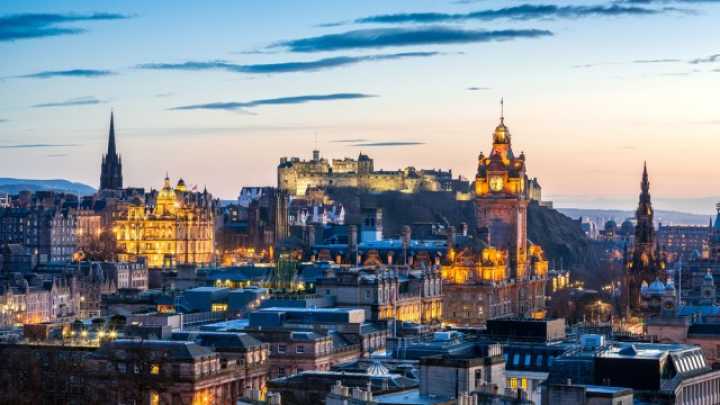 Scotland may become the latest country in Europe to institute low emission zones in their major urban centers. In January of 2017 the Scottish ministers proposed piloting a “low emissions zone” in the most polluted areas of Scottish cities to reduce pollution and help meet Scotland’s greenhouse gas reduction goals. These goals are among the most aggressive in the world with an end goal of an 80% reduction in green house gases by 2050. The proposed low emission zone would prevent vehicles that create higher then average amounts of pollution like trucks or “lorries” as they’re referred across the pond, from driving in the low emission parts of the city. Low emissions zones have been instituted in cities across Europe, with low emission zones in London snagging the most the press. The current bans in London, ban all diesel cars that do not meet current environmental emission standards, and include a 10 euro charge for those that break the ban. In November of 2016 the high court in London ruled current low emission zones were not stringent enough and that more vehicles need to be banned to meet London clean air laws. The court’s ruling that London needs to strengthen its ban on diesel vehicles has unique political concerns surrounding it as the ban affects many families and small business owners, who, under the previous government, were encouraged to buy diesel cars and will now be subject to taxes for the cars they drive. Opponents of this ruling argue that the ban is ineffective, and that diesel cars, the main targets of the ban, produce as little as 5% of the pollution in the area. They suggest these resources would be better implemented modernizing the public transportation system to create less pollution. Bans or taxes like those implemented in London and Scotland offer an interesting change in the economic incentives for those that own cars that pollute more. I believe economic incentives like these are a necessary part to combatting climate change as there is a large social loafing problem where there is no penalty for contributing more to greenhouse gas emissions. Although I believe it be a net gain, those who are affected by the change in policy of one government after just being incentivized to do the opposite by the previous government should be given assistance to comply to the new rules. Reporters, Telegraph. “Scottish drivers face pollution charges in battle against climate change.” The Telegraph. Telegraph Media Group, 20 Jan. 2017. Web. 30 Jan. 2017. <http://www.telegraph.co.uk/news/2017/01/20/scottish-drivers-face- pollution-charges-battle-against-climate/>. Morgan, Tom. “Diesel drivers fear £10 city centre bill after High Court orders Government to clean up act on emissions.” The Telegraph. Telegraph Media Group, 2 Nov. 2016. Web. 30 Jan. 2017. This entry was posted in Air Quality, Alternate Fuels, Kieran McVeigh and tagged Diesel Ban, Greenhouse Gas Reduction, London, Low Emission Zone, Scotland, Tom Morgan by Emil Morhardt. Bookmark the permalink.